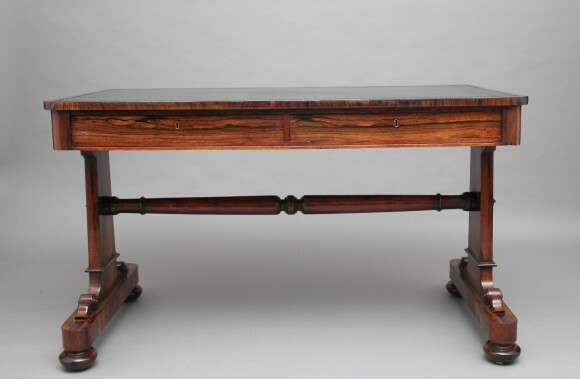 19th Century rosewood sofa / writing table, the top cross banded in rosewood and having a black leather writing surface decorated with gold and blind tooling, the frieze having two mahogany lined drawers, supported on two end supports with carved bracket decoration, standing on turned feet united by a turned stretcher. A lovely quality table. Circa 1830.